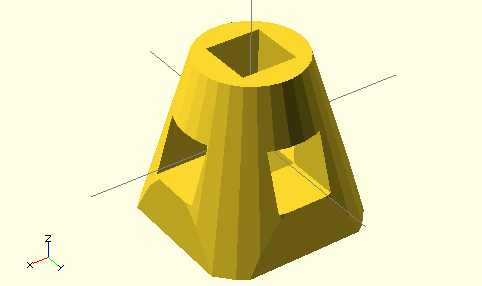 Using the projection() function, you can create 2d drawings from 3d models, and export them to the dxf format. 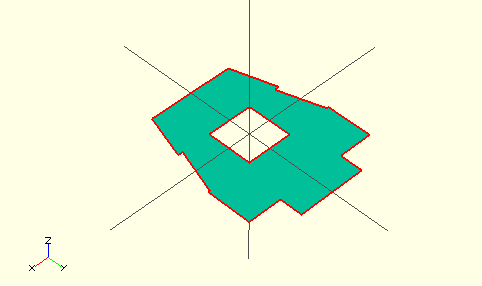 It works by projecting a 3D model to the (x,y) plane, with z at 0. 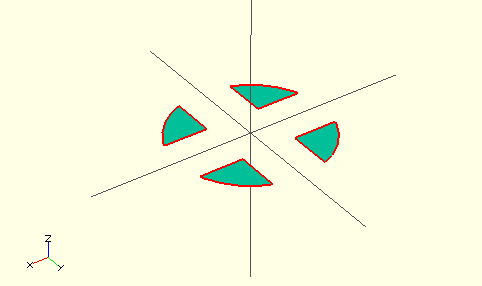 If cut=true, only points with z=0 will be considered (effectively cutting the object), with cut=false(the default), points above and below the plane will be considered as well (creating a proper projection). 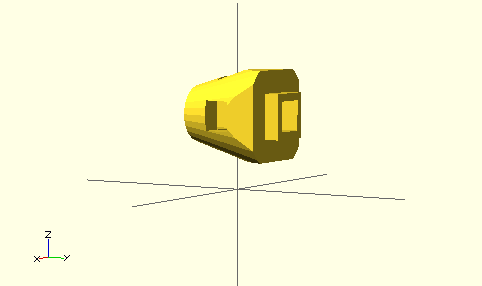 Example: Consider example002.scad, that comes with OpenSCAD. 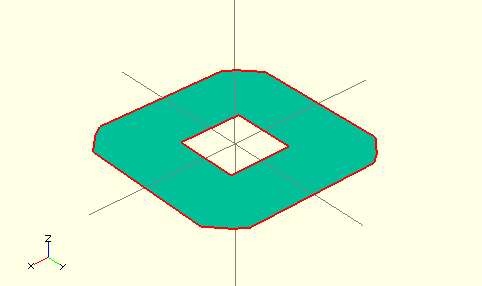 Then you can do a 'cut' projection, which gives you the 'slice' of the x-y plane with z=0. You can also do an 'ordinary' projection, which gives a sort of 'shadow' of the object onto the xy plane. example021.scad from Clifford Wolf's site. This page was last edited on 23 December 2016, at 03:26.